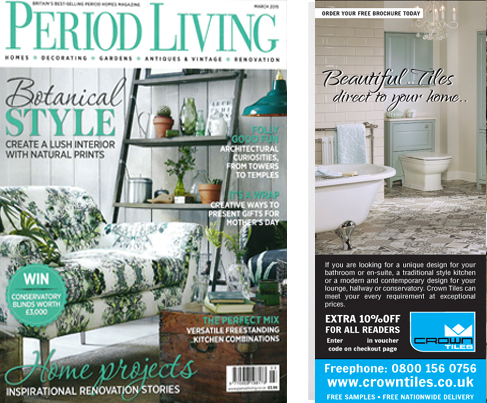 Period Living is Britain’s best selling period homes magazine. Each month is packed full of practical help and advice on all aspects of traditional homes including interiors, gardens, antiques and renovation. If you appreciate the timeless qualities of classic style and elegance updated for modern life, Period Living is the magazine for you. We selected one of our tiles as seen in the picture below which is called 60x60cm Flow, it is a large square tile that compiles different geometric patterns in keeping with the period style theme.